If you need the best quality service of tile/ stone services in San Diego, Pro Handyman is the only possible choice for you. We have extensive experience in doing this. We are the best tile, grouting and re-sealing service provider in the town. Our customers are happy with our work. We use only high quality materials and hundreds of our customers are happy with our work. Your kitchens, bathrooms, and rooms look much better when you have used tiles in decoration. Tile floor is a good choice for kitchens and bathrooms due to its durability and nice look. After some time the grout lines between the tiles become dirty because it absorbs water and other liquid detergents from mopping. It may become a problem for you to deal with it. Ask Pro Handyman for help. We are always ready to help you with the best and reliable services of tile and grout cleaning. We, San Diego Pro Handyman, have extensive experience in tile cleaning process. We guarantee the best possible results for any problem you may have as we use the best materials and technologies. Our staff are highly professional and well-qualified. They can do any type of tile repair you need professionally and effectively. The first step in the tile cleaning process is to remove the existing sealant and get rid of any contaminants. To do this and to make sure that your floor won’t be damaged, we apply modern technologies and materials. We use rotary cleaners to work into the surface. Then to make sure that all the old sealers, dirt and other contaminants are removed from the tile surface, we wash the floor carefully and thoroughly with fresh water. The final step to give the tile new pretty looks is to polish it. Washing the floor is done 2-3 times to make it free of dirt or contaminants stuck in it. When the floor is dry, appropriated sealers are applied to make it look wonderful. Don’t Replace Your Tile & Grout, Renew It! Contact Pro Handyman if you have any problem with your tile floor, no matter whether it looks not fresh enough, or dirty or whatsoever. What you need to do is to get it renewed rather than replaced. Our professional staff will do this work with passion, honesty, and devotion, as they are well-trained and highly qualified in this shpere. You will have your tile repaired without your floor getting damaged. Our prices are reasonable, affordable and lower than other companies offer. You won’t be charged with any extra money for getting the work done. Call us anytime as we are available 24/7. 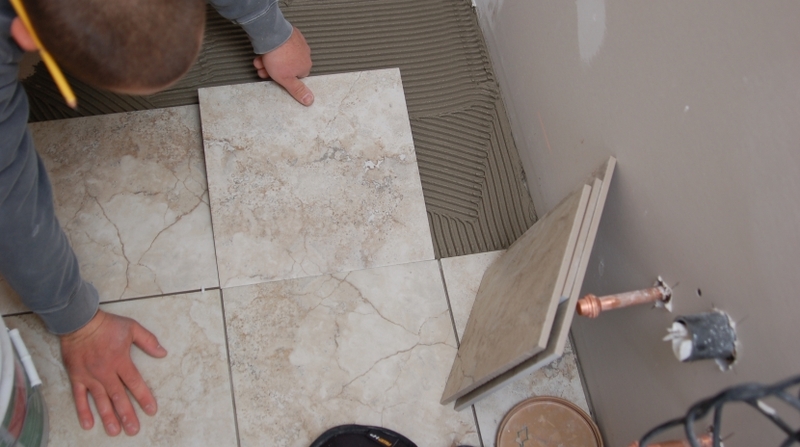 So, give us a chance to give you our best and quality service of Tile, Grouting, and re-sealing.